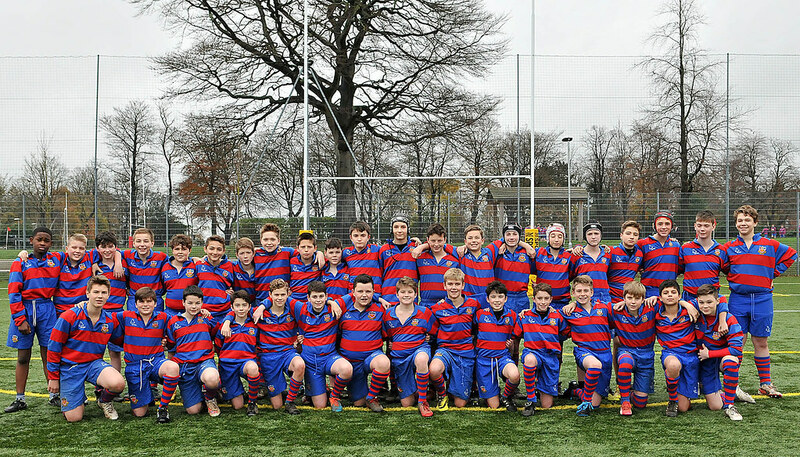 Our rugby teams have enjoyed notable success in National and County Competitions St Ambrose boys are selected regularly for County and Regional rugby teams, looking to follow in the footsteps of former pupil Michael Worsley who made it into the England team. Two recent first XV captains, like Michael, have been selected to play for the England Schoolboys team. Mark Atkinson has recently signed for Wasps as a replacement for Danny Cipriani. Matthew Simpson, Fergus and Charlie Mulchrone all represented the Senior Cheshire side who recently won the County Championship Final at Twickenham with Fergus chosen to tour Canada with the English amateur side. Thomas and Robert Holloway wer recently chosen for the Maltese national team for the Rugby World Cup following Simon Verbickas and Dylan OGrady who represented Lithuania and Ireland in the same competition. Each summer the rugby pitches are converted to cricket grounds and play host to a number of local teams. The final fixture of the year is the annual match between the first XI and M.C.C. Several boys have been selected for Cheshire Schools’ sides with one recent first XI player selected for North of England. Soccer Our Sixth Formers enjoy a full fixture programme and great success against local schools, but recent highlights were the two matches played against a touring team from Japan: Urawa H.S and Trinity College Argentina. Recent 1st team players Alex McQuade and Ben Hampson are currently playing for the Bolton Academy side, with several junior players linked to academies in the area. For younger boys the annual six-a-side soccer competition is a popular feature of the Parents’ Association’s Summer Fair and, whilst the College has established a national reputation for the excellence of its rugby, many St Ambrose boys combine representing the College at rugby and other sports with representing their local team at soccer. Cross Country and Athletics continue to be areas of achievement for the College, with boys being selected to represent Trafford in Cross Country in the Greater Manchester Schools’ championships. Our teams have enjoyed great success over the years in local and national competitions, including the National Catholic Schools Championships which has led to boys being selected to represent GB Catholic Schools in European competitions. Our athletics teams regularly win the Trafford Schools Championship with a number of boys selected to represent Trafford in the Greater Manchester Schools’ Competition. Swimming, Tennis and Basketball teams all compete strongly throughout the seasons, with many notable individual and team performances. The current U-13 Basketball team is Trafford Schools Champions. A new swimming pool and state of the art sports facilities are planned for the new school which will regenerate interest in the sport with pupils being able to gain National qualifications.